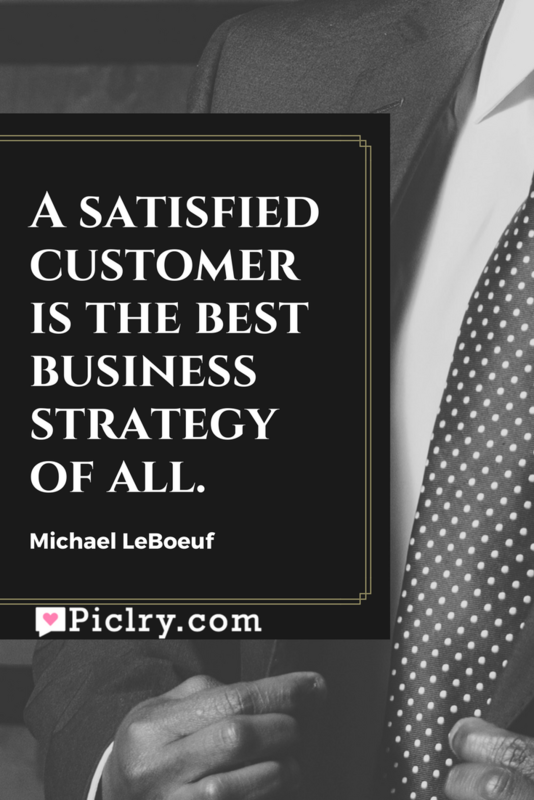 Meaning of A satisfied customer is the best business strategy of all Quote by Michael LeBoeuf. If you are into a business, your priority should be keeping your customers happy. It not only gives you credibility but also benefits your business. One happy customer sings your praises to many. Your goodwill is advertised free of cost just by a happy and satisfied customer. One bad impression could ruin everything you have ever earned. A satisfied customer will give you profit, satisfaction and more customers. In fact that is the first and foremost duty of any business man. Customer, for them must always come first. Hence, it is the best business strategy for everyone. A happy customer will stay with you for a long time, without any obligation. It will be with their pleasure that they will keep their ties with you. It will save you money and time in gaining customers and advertising your business. So always keep your customers happy. We are all broken that’s how the light gets in.